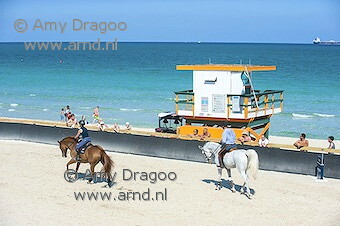 Have you always wanted to ride on Miami beach? Now is your chance, if you are one of the top show jumpers in the world. While you ride you meet American beach goers, and after the ride you can enjoy the beach yourself! This weekend the Miami de Global Champions Tour is held. We have the latest pictures of this great event!